While Greg Bird and Luke Voit slug it out for the first base spot and Domingo German, Luis Cessa, Jonathan Loaisiga, and Gio Gonzalez vie for two spots in the rotation, Brett Gardner has had a surprisingly successful spring training and here’s why we should celebrate. First of all, the numbers – Gardner is hitting .423/469/.769 with a 1.238 OPS with 3 homers and 6 RBIs on the spring. Granted, it is spring training, but these numbers are gaudy compared to the numbers Gardner put up in ’18 when he hit .236/.322/.368 with a .690 OPS, 12 homers and 45 RBIs. Frankly, looking at his .236 average, I was surprised to see it was that high, but then his .690 OPS told the real story of what was a below average season for the veteran. And given his offensive production this spring, he’s not just a spectator, he’s a major contributor to the power in this lineup, particularly with Aaron Hicks out since March 1 with back issues. Gardner has patrolled centerfield and pummeled the baseball. He brings an elite glove to the centerfield position. Kento Mizuno of pinstripealley.com lauded his defensive contributions to the Yankees when he pointed out that he is the ninth best Yankee outfielder of all time by cumulative value. Gardner keeps his eye on the prize in ’19 because the road to the World Series this season will surely go through the World Champion Boston Red Sox. If the Yankees focus on winning the division, they put themselves in a position to win #28. Gardner is not going to hit .423 for the season, but if his offensive production should take even a modest leap forward for the ’19 season, he would be setting the table for the big hitters behind him in the lineup. Baseball Reference projects Gardner to hit .242/.327/.381 with a .708 OPS, 12 home runs and 46 RBIs – which is just slightly above the pace for last season. 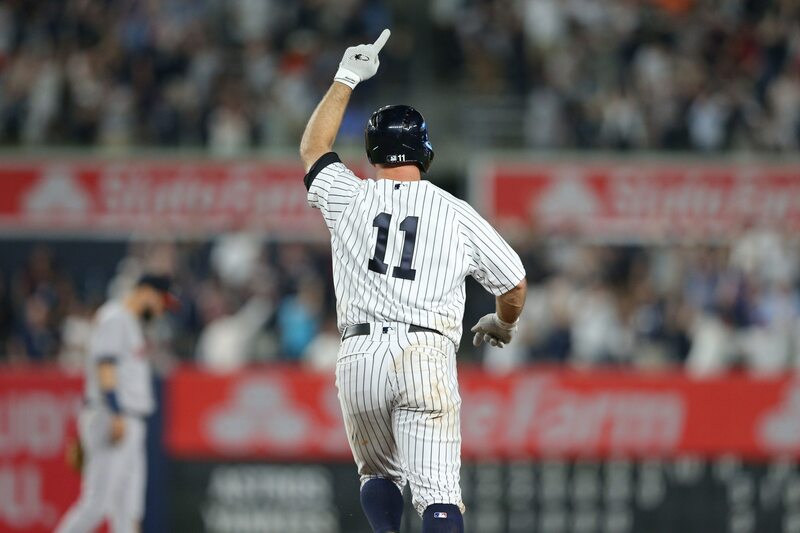 Gardner has just proved in spring training that the projection is trending in the right direction – up and he appears to be ready to seize the opportunity to play every day and significantly contribute to the outcome of the games. So, for now, it’s a Gardy Party in spring training, but let the real celebrations begin March 28th.